As a Certified Conscious Uncoupling CoachTM, Cindy compassionately supports clients through the challenging transition of a break-up or divorce. She was trained by creator, Katherine Woodward Thomas, M.A., MFT. Cindy has many years of counseling experience. 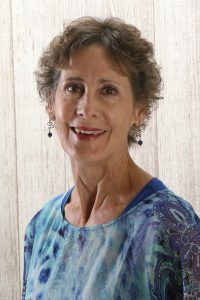 Cindy is a certified Eden Energy Medicine practitioner with over ten years of experience working with energy balancing modalities. Improved health, increased vitality and stress reduction can be achieved through the use of energy medicine techniques. Cindy is an experienced speaker and workshop leader. She is available to speak on topics related to Conscious Uncoupling and Eden Energy Medicine. Find out about upcoming offerings and events. Cindy is an experienced counselor, energy medicine practitioner and a Certified Conscious Uncoupling CoachTM. She has over 20 years of counseling and teaching experience.It has been her joy to support clients and students to reach their personal and health-related goals. "For learning to live happily even after, finding a way to forgive the unforgivable, and to move forward in life graciously with hope in our hearts….may very well be the essence of what it is to truly love each other." I want to thank you again for all the ways you've contributed to the new, positive ways that I'm approaching love and life these days! It's not easy, but I feel empowered to make bolder choices towards greater self-love because of doing the Conscious Uncoupling program.